You are responsible for some of the most utterly bleak landscapes in the SE of England. For further reading on this subject please refer to my discussion with Noel Kingsbury and my previous article on English Landscapes of the SE. 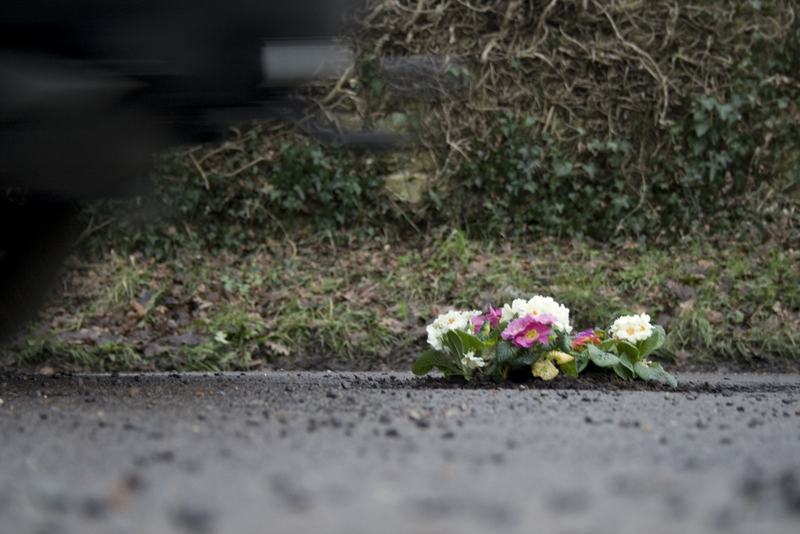 After 5 years of living in the UK the above photos show the best form of roadscaping that I have ever seen in the UK. Please embrace this artist. He is offering you a design approach. 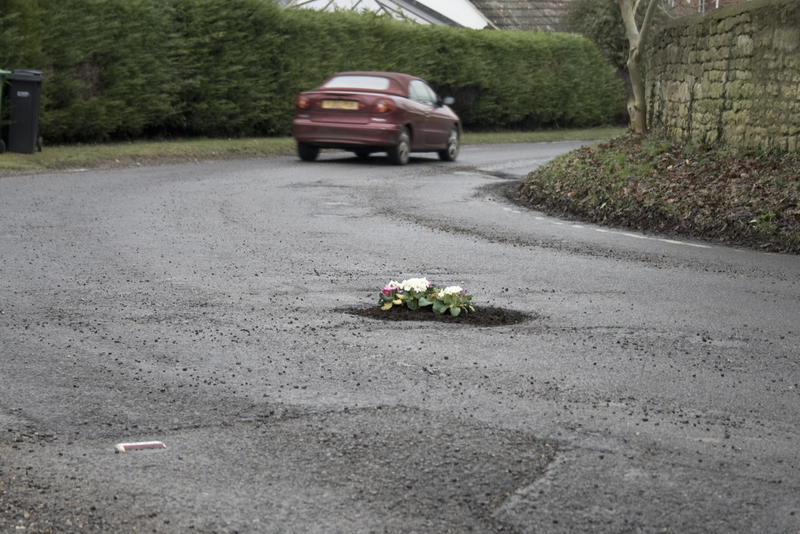 Pete Dungey’s Pothole Gardens are an ‘ongoing series of public installations highlighting the problem of surface imperfections on Britain’s roads’. 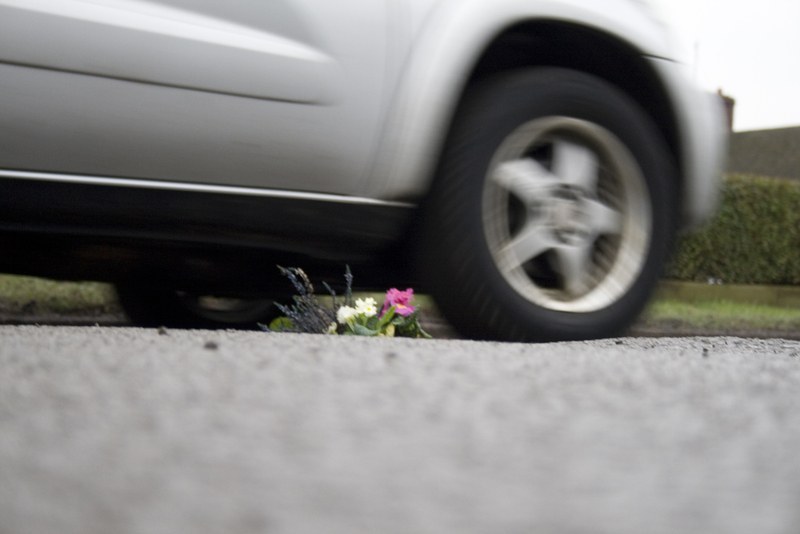 Pete is drawing attention to the potholes in the roads and kindly navigating people away from the holes (and into each other?!) 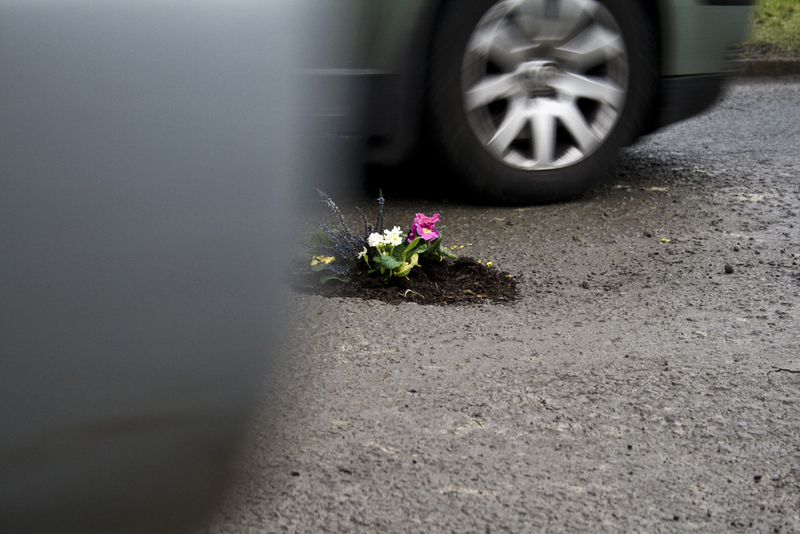 whilst cushioning the impact of potholes. I believe he has inadvertently produced the most interesting bit of navigational road architecture (using soft materials) this country has ever seen. Previous articleCan you paint a Woolly Pocket? Vertical garden design hackers. Jeepers already? Next articleGreen walls are not enough at Westfield Shopping Centre. Landscape architects are you designing? Timber window boxes – vibrate good times amongst concrete.